Art in the parks and around town. | Arthur in the Garden. ← Really? Lowe’s is selling the awfully aggressive and invasive Japanese Honeysuckle? Art in the parks and around town. 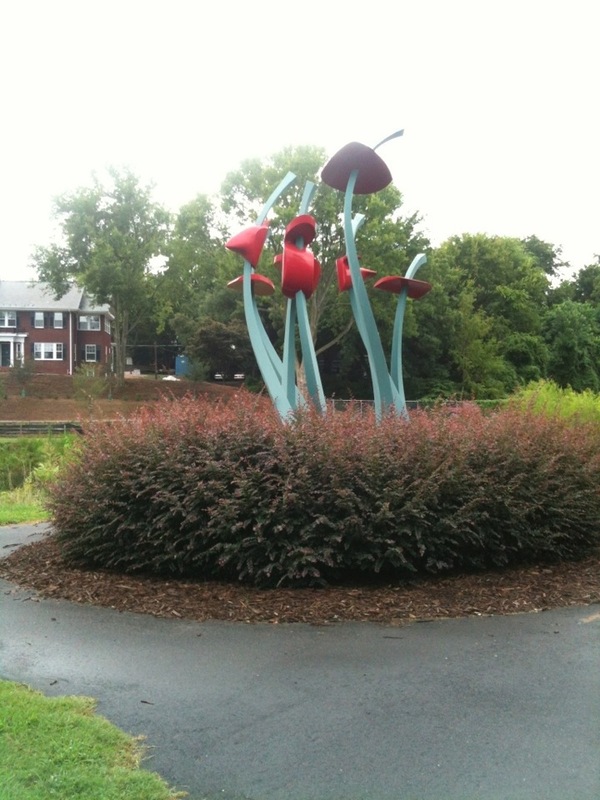 Around Raleigh there are many gardens with various art installations. Sometimes they are just civic pieces were the city or county has dumped a piece of art or sculpture somewhere only for the sake of saying they have public art somewhere, and then other times pieces are thoughtfully placed. 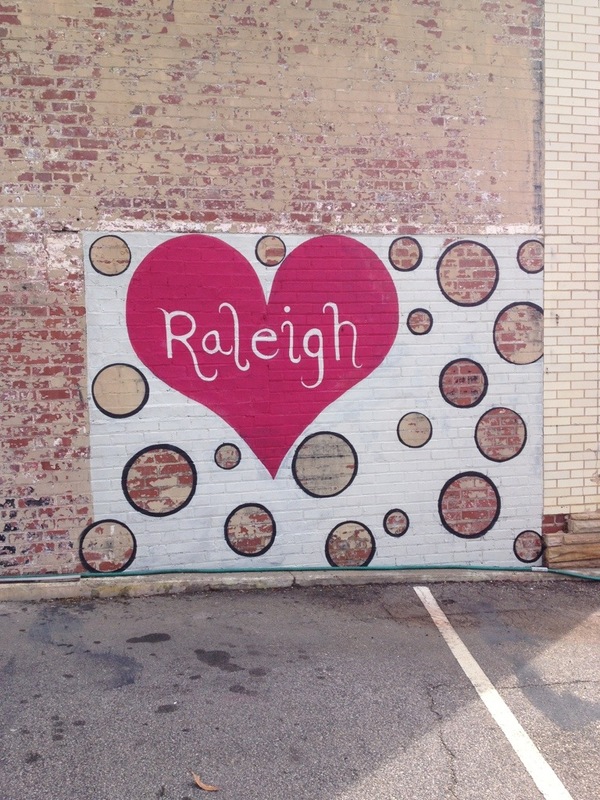 Here are a few examples throughout the City of Raleigh. 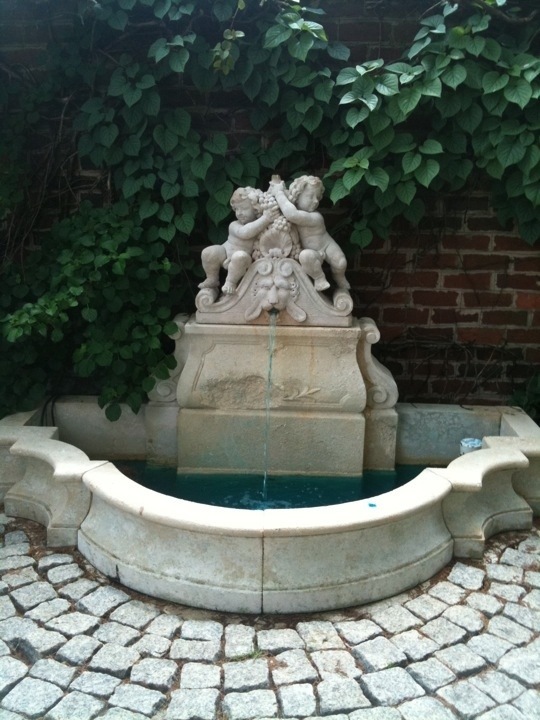 A fountain in the gardens of The Executive Mansion of North Carolina. That is a robust Japanese Climbing Hydrangea (Schizophragma hydrangeoides) behind it. 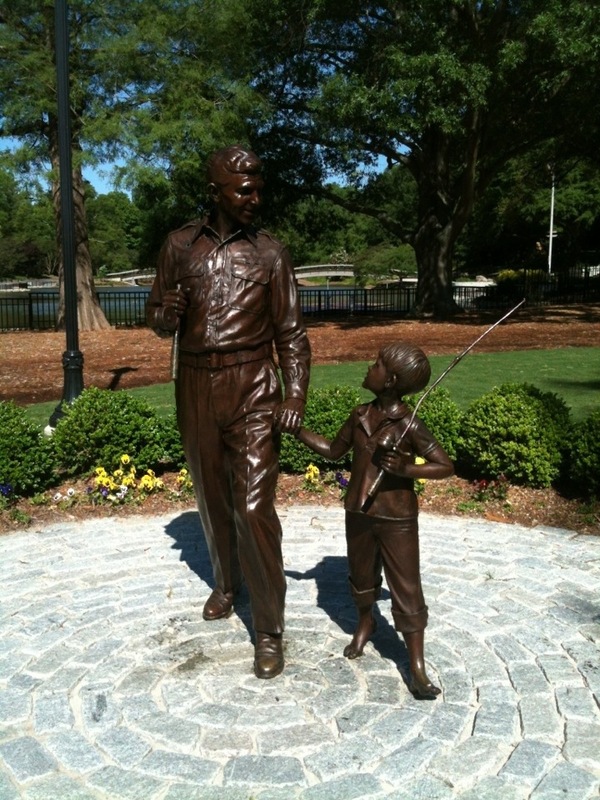 Andy Griffith statue at Pullen Park. Graffiti along Hillsborough Street in Raleigh. Its not in a garden but I love this heart. 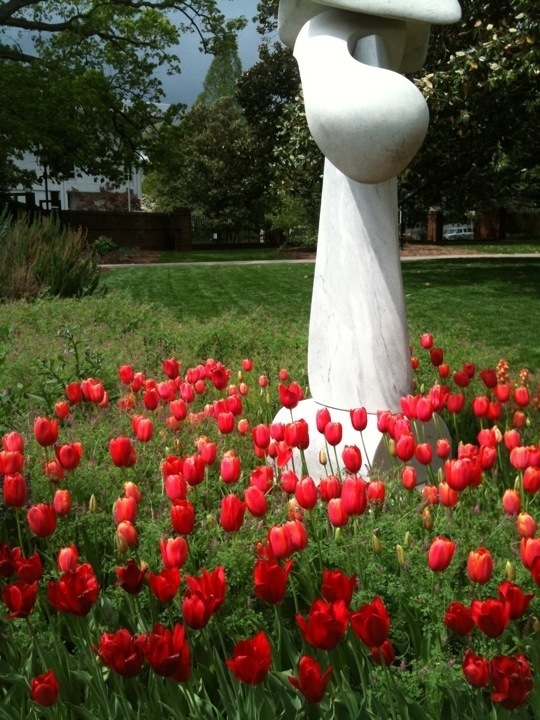 Another piece of art in the Gardens of the NC Executive Mansion. 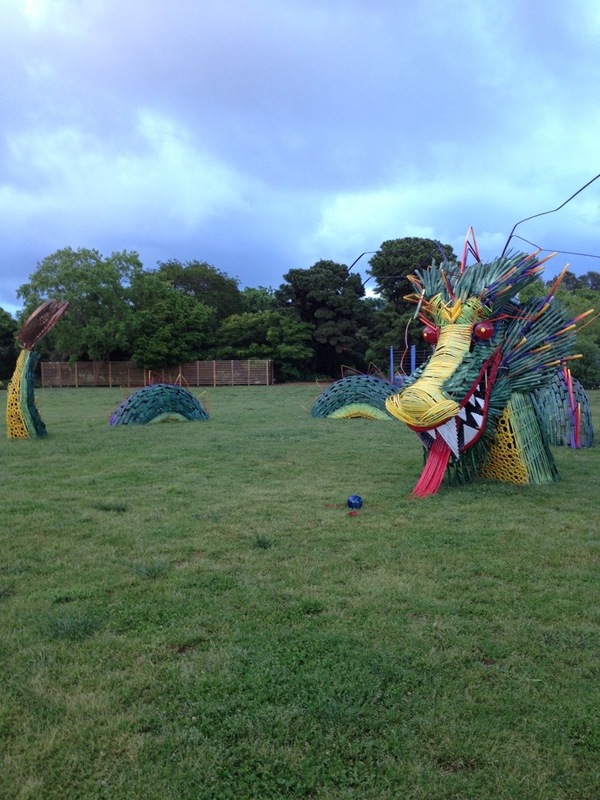 A giant dragon snakes its way through the lawn in The JC Raulston Arboretum at NCSU. 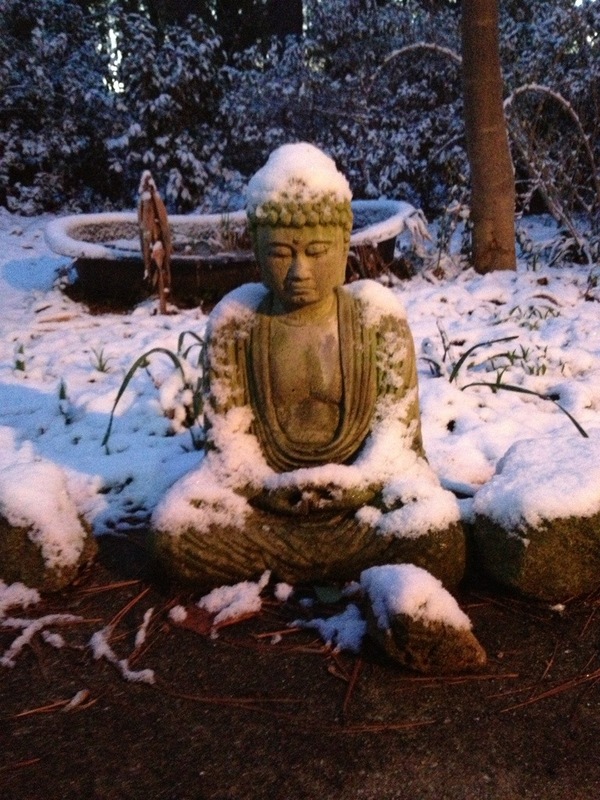 A snow covered Buddha at dusk in my garden. 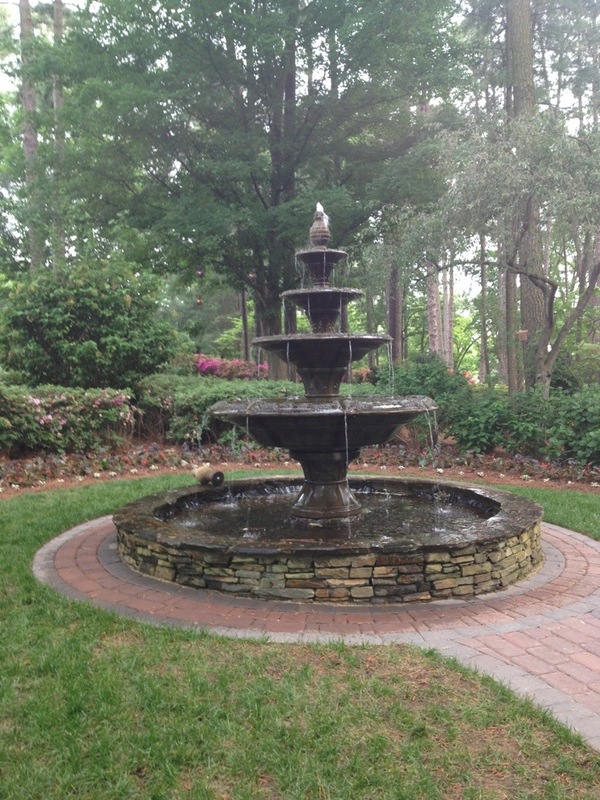 A fountain at WRAL’s Azalea Gardens. The 13-foot tall Redbird Sculpture at Fred Fletcher Park and Water Garden. This is a stylized group of Flamingo flowers (Anthurium). 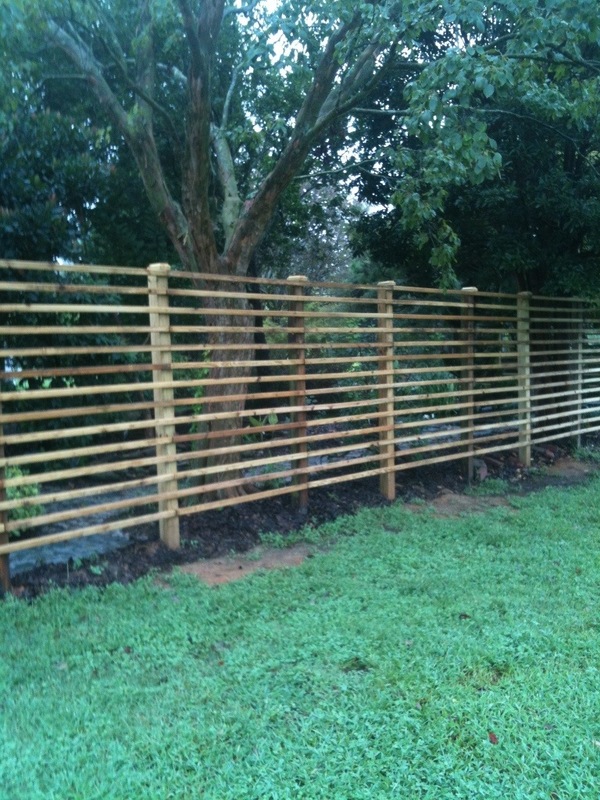 Even a fence may be considered art if it has some unique or geometric characteristics. 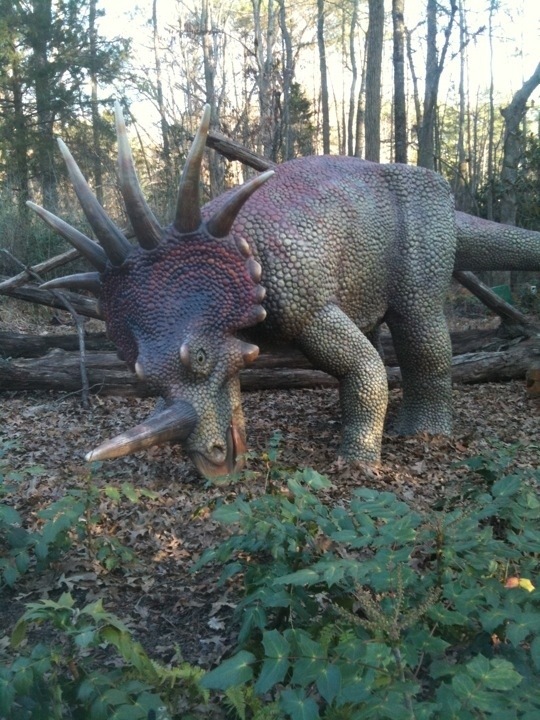 Love that dinosaur (Styracosaurus?)! There should be more dinosaur statues in the parks. They make me nostalgic for when my boys were young dino fanatics. Very nice photos. Nice statuary of Andy and Opie…though I wonder if you could shed any light on where the name Opie comes from? Was it short for Opadiah or was it for O and P, for Oscar Peter or something like that? 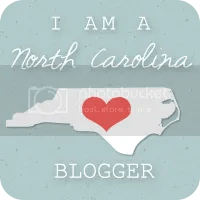 I lived in NC for about a year and a half, and went to the Andy Griffith museum in Mt. Airy. I had not known he was considering a religious path before acting. I also remember listening to a recording of him trying to explain football to someone that doesn’t know what it is. I don’t remember the logistics of it, but remember it being funny.